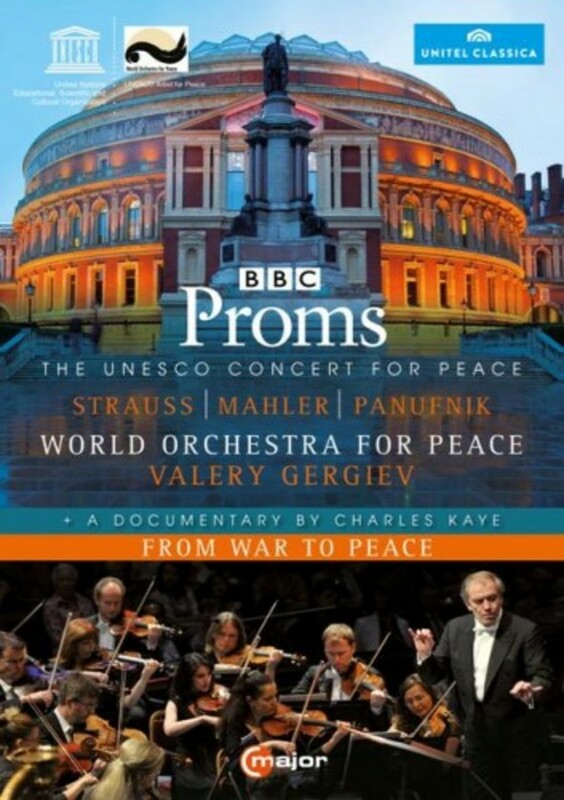 In 2014 the World Orchestra for Peace returned with its conductor Valery Gergiev for its fourth appearance at the BBC Proms to play a special concert marking the centennial of the outbreak of World War 1. The concert included Roxanna Panufnik�s Three Paths to Peace, commissioned by the orchestra, and Mahler�s Sixth Symphony, and it celebrated the 150th anniversary of Richard Strauss with the colourful, fairy-tale soundscapes of his operatic masterpiece Die Frau ohne Schatten. The World Orchestra for Peace, founded in 1995 by Sir Georg Solti to reaffirm, in his words, �the unique strength of music as an ambassador for peace� is a classical super group consisting of leading players from the world�s finest orchestras. In addition to the concert, the release includes a fascinating documentary with Sir Georg Solti and Valery Gergiev, marking the orchestra�s 20th anniversary.